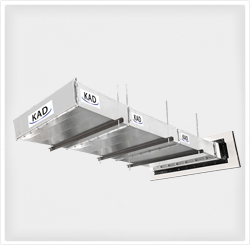 KAD’s Non-coated Fire Rated Duct is specially designed fire rated ductwork system without coating. Steel ducts are manufactured as per KAD’s construction schedule. Ducts are non-coated and needs to be installed as per KAD’s installation instruction. KAD’s Non-coated Ductwork System is tested and certified as per BS 476 part 24:1987 for two hour stability and integrity for type A & type B. It is also tested as per EN 1368-1:1 2012 for 2 Hrs. stability & integrity. Easy to install and economical.